Three out of four cases dealt with by the CAS Ad Hoc Division in Sochi involved an athlete contesting her eviction from the Games. Each case is specific in its factual and legal assessment and deserves an individual review. Daniela Bauer is an Austrian halfpipe freestyle skier contesting the decision by the Austrian Olympic Committee (AOC) and the Austrian Ski Federation (ASF) not to select her for the Sochi Olympic Games. Shortly before the Games, a member of the ASF had informed Ms. Bauer that she would get to participate in the Olympics if Austria were offered an additional quota place for the halfpipe competition. But, when the AOC got the opportunity to fill such a quota spot, it declined to use it. It did so because “the sporting performances of the Austrian athletes in this discipline were not good enough and would adversely affect the overall perception of the Federation and its athletes at the Olympics”. Hence, on 2 February 2014, the athlete decided to file an application with the CAS Ad Hoc Division against her non-selection. and she “should have been immediately informed of the decisions taken by the ASF and AOC”. The ASF and AOC opposed that “[n]o person has the authority to bind the ASF and the AOC with respect to the Applicant’s participation in the Olympic Games” and, therefore, “[t]he AOC has the exclusive authority under Rule 27 of the OC to decide which athletes shall take part in the Olympic Games” . The jurisdiction of the CAS Ad Hoc Division was not contested and the panel moved directly to the merit of the case. The panel refers to its settled case-law and reminds that “it is not in issue that it is for an NOC to select its competitors for the Olympics […] (CAS OG 08/03)”. Hence, “although the Applicant satisfied the FIS minimum qualification standards and the AOC was below its maximum athlete quotas for all freestyle events, the AOC would have violated the OC by nominating her for a quota allocation for women’s halfpipe as she had not been recommended by the ASF”. Even though it is acknowledged that ASF member Mr. Rijavec “may have created an expectation that the ASF would recommend to the AOC that she would be nominated for a quota allocation”, he “was not authorized to make any representations, promises or guarantees regarding whether the AOC would nominate her if she satisfied these standards”. Consequently, no legitimate expectations to be selected could arise. In addition to this, the panel found that the ASF disposes of a “significant degree of subjective discretion” as it does not have recourse to any objective criteria regarding the selection of freestyle skiers. Nevertheless, it “has a legal duty not to be arbitrary, unfair, or unreasonable”, which it was not in this instance as “it had a legitimate sports performance justification” . Finally, the Panel, in a remarkable twist of mind, “wishes to express in clear terms that it does not condone its lack of published qualification criteria that misled the Applicant by failing to provide clear and timely notice of the performance standards she was required to meet in order to be recommended by the ASF for the nomination by the AOC to the Austrian Olympic team”. Additionally, “the panel strongly recommends that the ASF establish, identify, and publish clear criteria to enable athletes to determine in a timely manner the Olympic Games qualification standards they are required to meet” . Despite these final remonstrances, the panel concludes that the claims of Ms. Bauer lack merit. The claimant, Mr. Getty, is an Argentinean freestyle skier competing in the aerials discipline; the respondent is the International Ski Federation (FIS). This is a case also related to the attribution of an additional quota spot to participate to the Sochi Olympic Games. On 24 January the Argentinean Ski Federation (FASA) received an email from the FIS informing it that it was allocated a quota spot for the aerials competition in Sochi. The FASA immediately informed Mr. Getty of the good news. However, later that day, after confirming its interest in the spot, the federation received a second email from FIS stating that FASA “does not have an athlete that is eligible to participate in the Aerials men event” and therefore cannot get the spot misleadingly offered in the first email. Henceforth, Mr. Getty decided to challenge his proclaimed ineligibility to participate to the Olympics in front of the CAS Ad Hoc Division. Mr Getty claims that he is “eligible to be entered into the Sochi Games by the Argentinean NOC irrespective of his current FIS points”. He is of the opinion that FIS rules are ambiguous on the selection process for quota spots and therefore should be interpreted in his favour on the basis of the contra preferentem principle. Moreover, he argues that “FIS is estopped from denying [him] a quota place” . In other words, Mr. Getty claims FIS had prompted legitimate expectations, especially after the 24 January email, that he would be participating to the Sochi Olympic Games. Finally, Mr Getty submits that denying him the participation in the Sochi Games “would be unfair and contrary to the spirit of the Olympic Movement” . He bases his claim, amongst many other things, on the fact that he is the only freestyle athlete representing South America and that his “dedication to sport is an inspiration to many” . The FIS disputes these claims and points out that “the Applicant’s description of the qualification procedure is incorrect and misleading” . In fact, Mr. Getty never reached the minimum points for eligibility, nor is any alternative qualification criterion accessible. Likewise, the FIS is not estopped, as it could not create any legitimate expectations with its email. The jurisdiction of the CAS Ad Hoc Tribunal was not contested and the panel proceeded directly to the merit. As a preamble, the arbitrators remind that “[u]nder Swiss law, the interpretation of statutes has to be rather objective and always start with the wording of the rule”. After reviewing the wording of the FIS’s regulations, the panel concludes that, in the present case, “[a] good faith common sense reading leads to the conclusion that the rules unambiguously require all competitors to meet the individual eligibility requirements” . Additionally, “[t]he fact that the Applicant cannot point to a single instance in the past where an athlete was allowed to compete in the Olympic Games without meeting the eligibility requirements […] is further evidence of this conclusion” . Moreover, the FIS is not deemed estopped from denying Mr. Getty a quota place for the Sochi Olympic Games. In this regard, the Panel notes that “FIS never made during the qualification period a representation that Mr. Getty was eligibile” , nor is there “evidence that during the qualification period Mr. Getty received from FIS an individual assurance that he was eligible” , and “the fact that COA might ultimately obtain a quota place did (and could) not suggest that FIS would waive the minimum individual qualification requirement for any athlete assigned to that quota place” , most importantly “all correspondence between FASA or COA and FIS on 24 October 2014 did not contain any express and individual reference to Mr. Getty”. This is a fundamental difference compared to the existing precedents invoked by Mr. Getty. 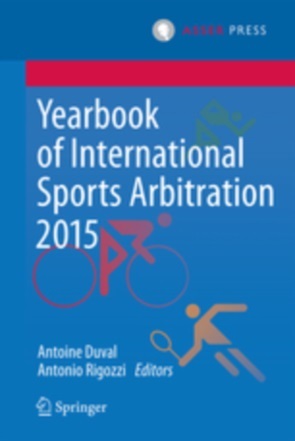 Indeed, in those cases “the athlete had been given specific and individual assurances about his eligibility” (CAS OG 02/06 & CAS OG 08/02) or “the international federation changed its rules with retroactive effects, depriving an athlete of the eligibility that could be assumed on the basis of prior rules” (CAS 2008/O/1455). Finally, the Panel also held that the fact that the participation of Mr. Getty to the Sochi Games would be in line with the Olympic spirit is a matter of policy. These concerns are for “FIS to consider when adopting the eligibility rules for the Olympic games; they are not for this Panel which is only asked to apply the existing rules”. Even though the Panel is sympathetic to the athlete’s drive to participate to the Sochi Olympic Games it rejects the application filed by Mr. Getty. The final, and maybe most complex and controversial case, is the one involving a well-known Argentine alpine skier: María Birkner. The National Olympic Committee for Argentina (COA) and the Argentinean Ski Federation (FASA) are the respondents in the proceedings. On 20 January 2014 the FASA told Ms. Birkner that she was not selected for the Sochi Olympic Games. This decision not to select her is challenged in front of the CAS Ad Hoc Division. Ms. Birkner claims “that she was discriminated against on the basis of her being a member of her family”. For a number of reasons, she claims that the Federation has purposefully conspired to banish her from its activities and to exclude her from the Olympic games. Chiefly, she claims the federation has purposefully informed her after the final decision of the existence of specific selection criteria and of a technical committee in charge of the selection. As discussed in the previous blog, the jurisdiction of the Ad Hoc Division was challenged and the panel found that it did not have jurisdiction. Nonetheless, it decided to consider the merits of the case anyway. The arbitrators brushed aside any bias against the family of Ms. Birkner noting that two of her siblings were present in Sochi and that her brother had even the privilege of carrying the Argentinean Flag during the opening ceremony. Furthermore, in the eyes of the panel, the claimant failed to establish that the qualification process, the Technical Committee and the selection criteria used were biased against her. Indeed, “it cannot be said that the selection criteria said to be applied were arbitrary or unreasonable”. The panel considers that the recriminations of Ms. Birkner against the selection process, especially the allegations of a bias from the part of the Technical Committee and that the other skiers had previous knowledge of the main selection criteria were not sufficiently substantiated and could not be established for the sake of this procedure. The panel is of the view that the situation is similar to the one of the Bauer case discussed above. Therefore, it recalls the holding of the Bauer Panel observing that “there was a legal duty not to be arbitrary, unfair or unreasonable in the application of objective criteria or in the exercise of subjective discretion but that the exercise of discretion was not so characterised where there was a legitimate sports performance justification for selection”. It finds that “a discretion based on “the evolution and projection in the future” [as invoked by the FASA] is not arbitrary, unfair or unreasonable” . Nevertheless, the panel refers to the obiter holding in the Bauer case and “recommends that FASA establishes, identifies and publishes clear criteria in a timely manner to enable athletes to understand those criteria and the Olympic Games qualification standards that they are required to meet in order to be recommended for selection by COA” . In the present case, “a dedicated athlete with an outstanding history of representing her country, who had successfully competed in many international as well as national events, was devastated by the decision made not to select her, when she had believed that, on the criteria that she had mistakenly understood had applied, she would represent her country at the Sochi Olympic Games” . Selection disputes constitute a big part of the CAS Ad Hoc Division’s caseload. This is probably inevitable, as the non-selection for the Olympic Games is often the toughest setback faced by an athlete in her career. The Sochi cases do not fundamentally sidestep the existing case law of the CAS Ad Hoc Division in this regard. The deference to the subjective criteria used by the National Olympic Committee’s (NOCs) and the International federations (Ifs) is reaffirmed, unless those criteria are applied in an “arbitrary, unfair or unreasonable” way. Furthermore, an athlete can hardly rely on any legitimate expectations, unless he has been offered personally and officially a spot to participate to the Olympic Games. Hence, a non-selection can only be challenged successfully in the most extreme cases. However, when the behaviour of the federation is, to say the least, ambiguous as in the Birkner case, a very heavy burden of proof lies on the shoulder of the athlete to turn this ambiguity into the recognition of an “arbitrary, unfair or unreasonable” behaviour. The Sochi Ad Hoc Division’s approach to selection cases is flawed with paradoxical feelings. On the one hand, it urges the Ifs and NOCs to devise and publish “clear criteria in a timely manner”, but, on the other hand, it encourages them not do so by limiting the reviewability of their subjective and blurry selection practices. In short, Panels openly favour objective and predictable schemes on which athletes can rely, while incentivizing subjective and unpredictable assessments by leaving untouched the wide scope of discretion of the Ifs and NOCs. The paradoxical and irreconcilable nature of these views should lead the CAS to reconsider its approach to the selection process. The Sochi panels instinctively felt there was something fundamentally unfair with the non-selection of Ms. Bauer and Ms. Birkner. In this regard, the panels’ final incantations for change will remain unanswered if the CAS Ad Hoc Division refuses to contribute through its jurisprudence to the rise of clear selection criteria. 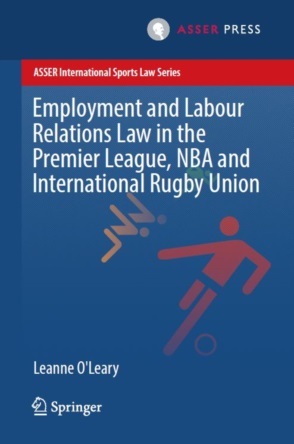 It should impose a more stringent review of the subjective criteria used by the Ifs, by promoting a less strict understanding of the notion of “arbitrary, unfair or unreasonable” scheme and/or by alleviating the burden of proof bearing on athletes to establish the abusive nature of a selection process. In contrast with CAS OG 06/08 and CAS OG 06/02. CAS OG 14/02, point 8.17 i.
CAS OG 14/02, point 8.17 ii. CAS OG 14/02, point 8.17 iii. CAS OG 14/02, point 8.17 vi. CAS OG 14/02, point 8.17 vii.